Jonathan’s idea for the series started when he couldn’t find a decent book which wasn’t aimed at caravanners or which could tell him more about a campsite than a basic directory listing. 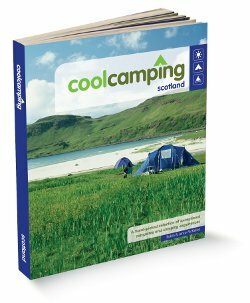 So was born Cool Camping England, a book which understands the needs of tent campers and provides them with a selection of hand picked tent-orientated campsites. Cool Camping England combines plenty of pictures and information to give campers a really good feel for the place where they’ll be camping. But the book doesn’t lay a tent carpet over the rough patches, it also lets you know about the downsides of each site – like what to do if it rains and where the best pubs are. (no link there) This collection of useful information makes the books in this series essential reading for planning a camping trip. Here at Tents Camping, we love these books and believe that the tent camping community was, until these books came on the scene, neglected. With Cool Camping, we can expand our horizons and explore with confidence . Other books in the series are Cool Camping Scotland, Cool Camping Wales, Cool Camping France, Cool Camping Europe, Cool Camping Kids, The Cool Camping Guide to Festivals.